When booking New York City Hotels with kids, you want to make sure to get the most for your money and your children’s experience of NYC. While almost ANY hotel in NYC and surrounding areas is family-friendly, some hotels really stand out when welcoming your precious little ones. Here are a few of our top picks for family and kids hotels in NYC. The Fifty NYC has it all: great for kids, pets, fitness and free wine (for you) at happy hour! 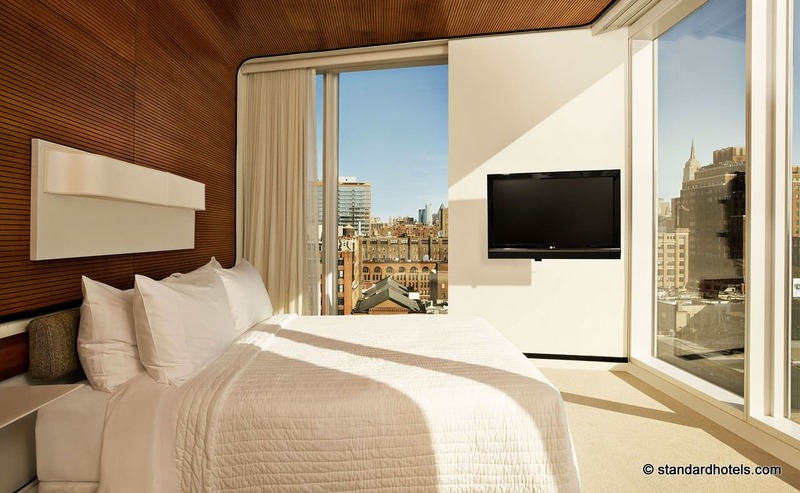 "We traveled to NYC as a family (2 adults, 2 kids) and loved our stay at Affinia 50." "…this was the perfect location and size for our family! We are a family of 4 and needed two queen beds which helped narrow it down!" "We can’t recommend this hotel enough. Great experience. Rooms were great….we wanted two queen beds because we were traveling with 2 teenage girls. Size of room was excellent for NYC. " Just off a $19 million, top-to-bottom redesign, The Fifty is classified as a "residential hotel," catering to families and those looking for more of a stay that reminds them of home, with all the amenities of a hotel. Affinia’s large suites have a separate living area with sofa beds, and many rooms have full kitchens, ideal for a quick bite at home, especially if you order from NYC’s favorite grocery delivery service, FreshDirect. Affinia 50 offers cribs, strollers and high chairs upon request. 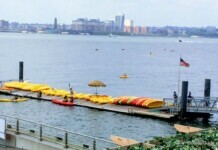 Affinia offers an excellent range of packages that include discounts to the Children’s Museum of Manhattan and Chelsea Piers, which is bursting with kid’s activities. 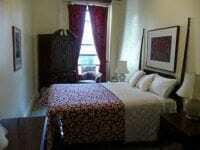 Sister Hotels: Manhattan NYC, Dumont NYC, Gardens NYC and the Shelburne NYC. Both the Westin Times Square and Westin Grand Central cater to families and kids. Everyone up to age 12 gets their very own bag upon arrival with tools and toys to help you and your family enjoy all the exciting things the Big Apple has to offer. "Great time with kids. The staff was great – would highly recommend staying." Kids Tip – "Get a Junior Suite"
"..even went out of his way to give our girls welcoming treats with sweets, crayons and gift bags." Both NYC Westin Hotels have large suite rooms, dedicated pages on their website for kids, special and healthy kids menus and free gifts. Your own children’s concierge, dress up clothing in the closets and your choice of the Eloise Suite or Knights of The Plaza Package and many others! "We stayed at the plaza hotel for 1 night over labor day weekend with our 1.5 year old daughter. This place is truly magical and lives up to its legacy." "I was a bit concerned that as a family of 4, the Edwardian Suite, rather than 2 rooms would be a bit cramped. This was not the case, as the living room was big enough to accommodate a double sofa bed and a fold away single bed. The suite comes with 2 bathrooms, the main one being very well specified." Does The Plaza really need an introduction? This classic and Hollywood-famous hotel, offers 282 rooms, including 102 luxurious suites, which boast the largest square footage of any luxury hotel in New York City. Entertainment for kids is just about built in, knowing The Plaza was the home of Eloise and the Home Alone 2 movie. But the views of Central Park and the 30 second walk to get there, along with the famous Apple store are sure to appeal to even the most selective of NYC visitors. Omni Berkshire Place NYC "Sensational Kids"
Visiting NYC with teens? Be sure to check their special Teen Concierge program, run by local teenagers. Younger children get a cookies and milk on their first night, plus a free backpack filled with a 31 page folded map and guide with Omni-centric Discovery games, crayons, a Frisbee and more! "I was travelling with my two young boys. The staff made the boys feel welcome and important. They helped us find the best family-friendly entertainment and provided maps and a welcome kit for the kids. Highly recommend this Hotel." "I came into town to celebrate my daughters birthday. All I can say is if your are looking for a great location with extremely friendly staff this is the place to be." 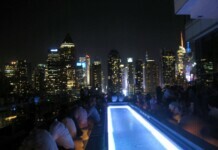 "Loved the location since between Midtown and Central Park, near 5th avenue. We had a one bedroom suite that was perfect for our family of 4… not too crowded." While the Omni Berkshire is a NYC favorite hotel throughout the year, make sure to check their seasonal family specials, such as the "American Girl® Dream Package," which includes all the standard Sensational Kids gifts, along with breakfast at the Fireside restaurant, one American Girl® specialty bed and entry into a quarterly American Girl giveaway. Their "Camp Omni" package includes a special upgraded "kids bag" and a NYC scavenger hunt culminating with a special dessert in their Fireside Restaurant. "Traveling as a family of 4 with small children can be challenging but the room was quite large and the pull our sofa was a huge plus! The staff installed a Wii in the room (at my request) for our children and provided robes and slippers for all four of us." "The spa with the indoor pool was great for the children." 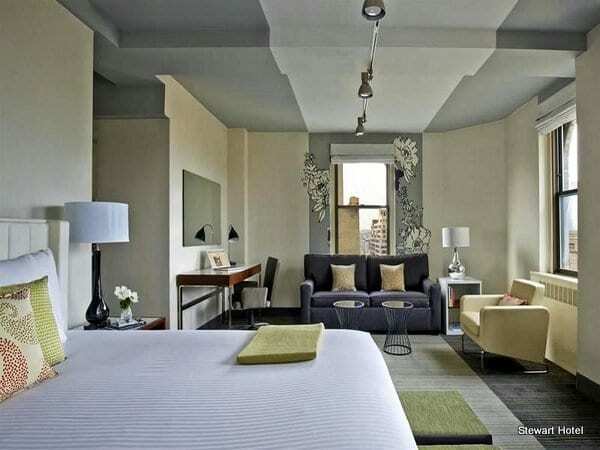 Suite Hotels in New York City offer families more space, kitchens and multiple room suites, often similar to a NYC apartment vacation rental, and many times, more budget friendly. These suite hotels are set up with family-friendly extras like televisions, pull out sofas, room dividers, roll away cots and more. 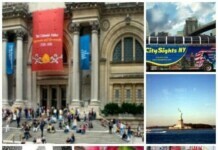 A Children & Kids NYC Vacation Package is a great way to save in NYC. 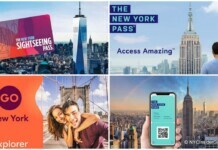 Our top NYC vacation company buys 1000’s of rooms per year, from a select few Manhattan-based hotels, and they pass their bulk discounts directly to you. 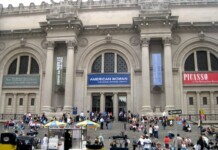 The Children & Kids NYC Vacation Packages include your free "Hidden Secrets of NYC for Kids and Families" guide, hotel, taxes, free attractions, museums, discounts, maps and personal planning advice for how to make the most of your nyc vacation with kids. 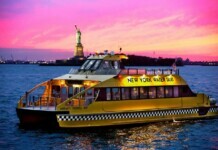 More Info: All New York City Vacation Packages. While you may have to compromise to stay in one these hotels, like a shared bathroom, or no television, you cannot beat the prices for these locations. These cheap hotels are open to various groups, such as military, religious, non profits and other specialized NYC Visitors.